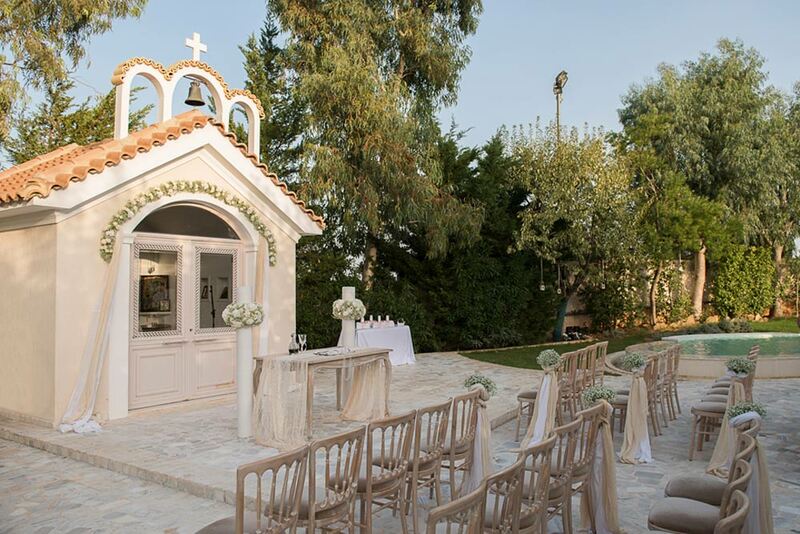 Efilena’s estate combines the natural elegance with the discrete luxury, the vintage decoration with the vividness and the carefreeness of the bohemian esthetics if you select it as an extra service. It is comfortable but not chaotic and impersonal, with architectural touch that impresses and inspires, like the waterfall with the rocky garden, the special plants, the romantic lake, the small pool with running water from the pitcher close to the church of Saint Anthony, the beautiful octagon bar-kiosk, the majestic patio with its roof. Created with love and stands out due to its cosmopolitan aura and constitutes a benchmark in the field of social, cultural and corporate events. Recognized by its high aesthetics, exceptional service, expertise, experience, responsibility, creativity and professionalism of its staff. The estate executive team and carefully selected partners consider the satisfaction of each of your needs and the absolute success of the event, a personal matter. The marriage, christening, party, social or corporate event that you have imagined, and plan are becoming for us not only a source of inspiration but also a personal case on the grounds that we are a family operated business, love our job and consider the fulfillment every of your need our priority. Non-negotiable values of us are the professionalism and consistency, the clear and detailed information in order to eliminate the gaps and misunderstandings, the respect to the personality and your needs. Every time that an event at Efilena’s estate comes to an end, we want to make sure that the people who trusted us be fully contented, having the most beautiful memories not only from their special day but also from us. To be able to have them provided them with the experience that they had imagined, a unique experience for them and their guests as to assign to us their celebrations in the future as well. Our basic pursuits encompass the establishment of a relationship based on trust and safety, the friendly and cozy atmosphere during all the stages of the celebration, the original ideas and personalized suggestions on competitive prices. 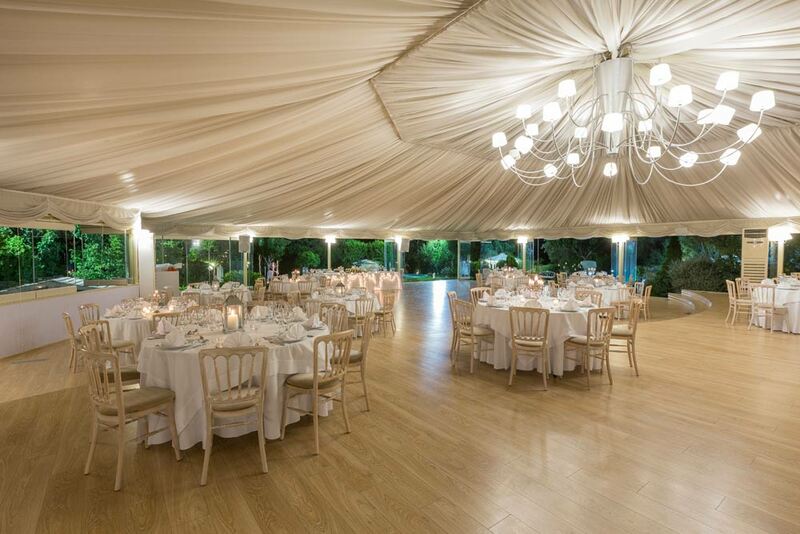 Moreover, we pay special attention on everything related with the safe prosecution of every event at Efilena’s estate. That’s why we take care of to offer the necessary guidelines in terms of choosing the ideal partners. Aiming to be able to offer a complete and harmonic result, we collaborate exclusively or having the ability to suggest businesses and professionals who share the same philosophy and work under the same framework.